4 September. It had gotten dark by now and soon we left with the new Tommy gun and what was necessary for derailing the train. We did not know exactly at what hour it would pass, but by now it was certain that no more civilian trains would pass by before dawn. We had to make the preparations quickly in order not to miss the strike. It was originally published in Italy in 1956, this I believe is the first time it has been translated into English. In reality it is a diary, memoir and a document of historical importance. It covers the resistance to the Nazis when they entry Turin on 10 September 1943 to the liberation of the city on 28 April 1945. Ada Gobetti recorded the events on an almost daily basis; her diary was written in a coded form that only she could understand. The act of keeping an anti-fascist diary during the Nazi occupation carried an automatic death penalty. Her involvement in the resistance movement goes back to 1922. Ada’s husband, the anti-Fascist activist Piero Gobetti, founded the anti Mussolini/fascist journal Rivoluzione Liberale. Gobetti was arrested and beaten by Fascist gangs and as a result died, he was just 24. Ada vowed to continue his work, as did her young son Paulo. Her pride in her son and at the same time her fears that he will be captured are central themes in this story. She became a member of the Action Party, a liberal socialist organisation that rejected Marxism. Much of her resistance work under Mussolini’s fascist regime involved keeping the flame of social democracy alive, the building of Action Party cells and propaganda work. This book reads like a thriller, it provides firsthand knowledge of how the partisans in Piedmont fought and who joined the struggle against the Nazis and the Fascists. 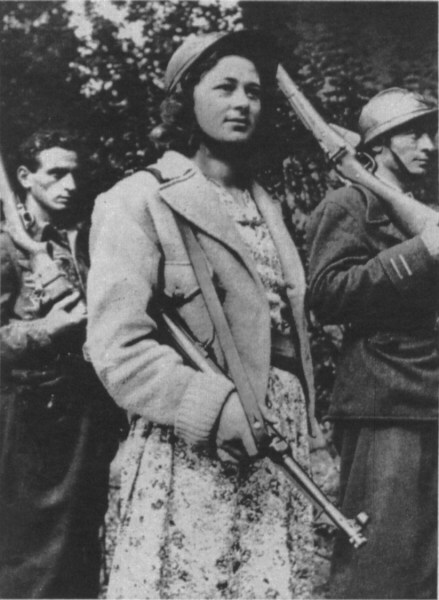 Ada was one of over 100 thousand women who took part in the anti Nazi and fascist resistance in Italy. Women were active in all areas of the resistance, from warfare to sabotage, welfare to gun running. Ada ran a network of safe houses in Turin for anti-Fascists in need of refuge (Among these was the sister of the Auschwitz survivor Primo Levi, Anna Maria Levi). She smuggled weapons into the Susa valley, adjacent to the French border, where the mule paths and dense forests were perfect for guerrilla fighting. More painful are her personal recollections of the struggles, families losing loved ones and the heartbreak of mothers and fathers watching their children head off on dangerous missions. 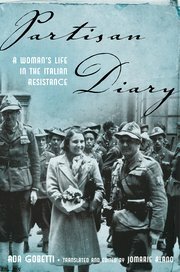 Partisan Diary: A Woman’s Life in the Italian Resistance is an incredible memoir/diary, one which shines a light on a brave and little written about band of heroes. Thank you for the lovely review. Please note that the large picture at the top of your review is not Ada Gobetti. She is pictured on the cover and in the photos inside the book.